Christmas is coming so I am going to give you a couple of special posts this last week. 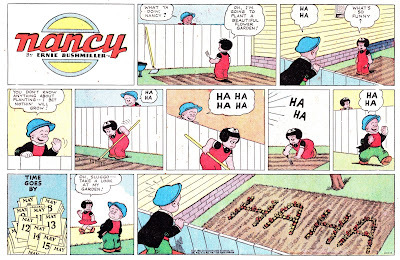 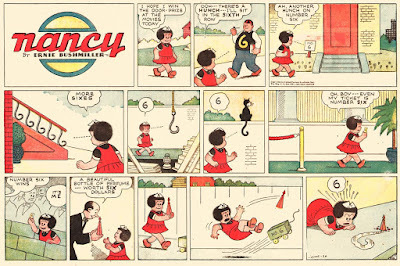 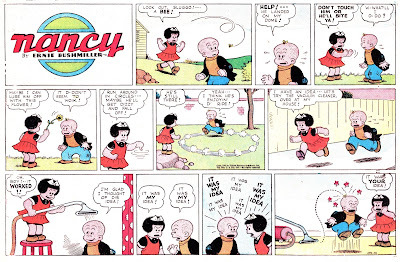 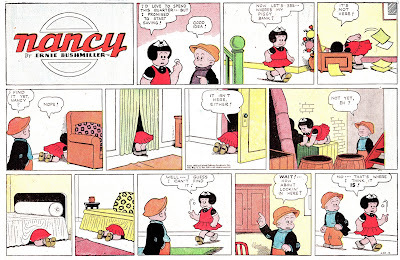 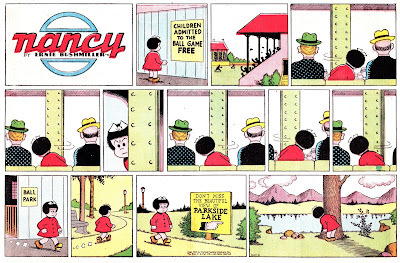 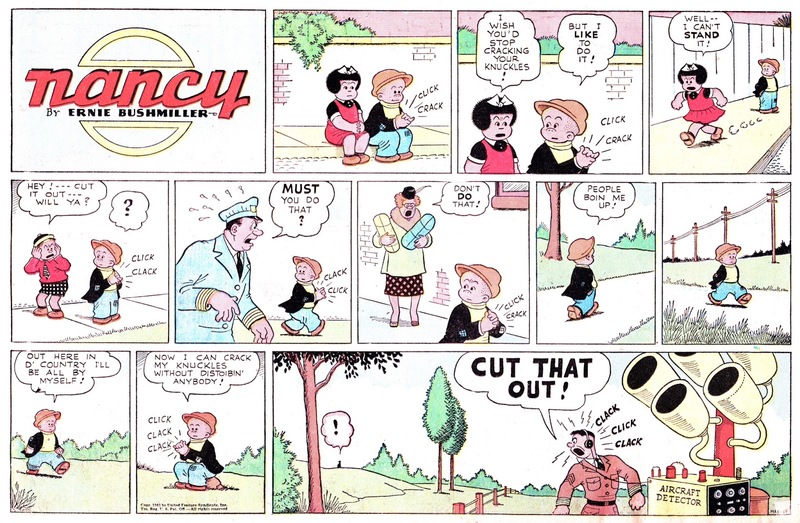 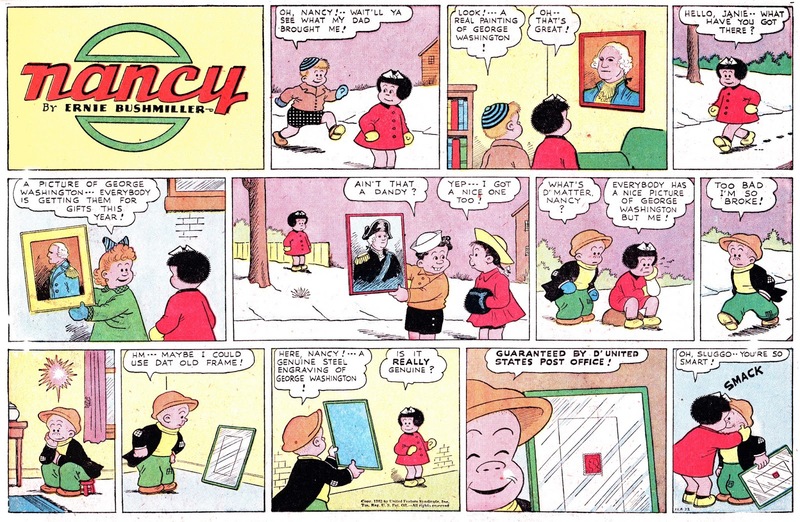 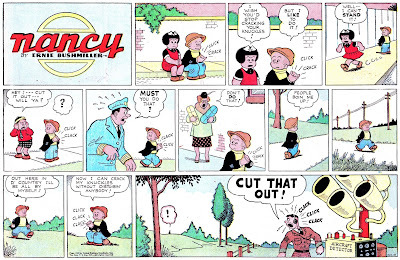 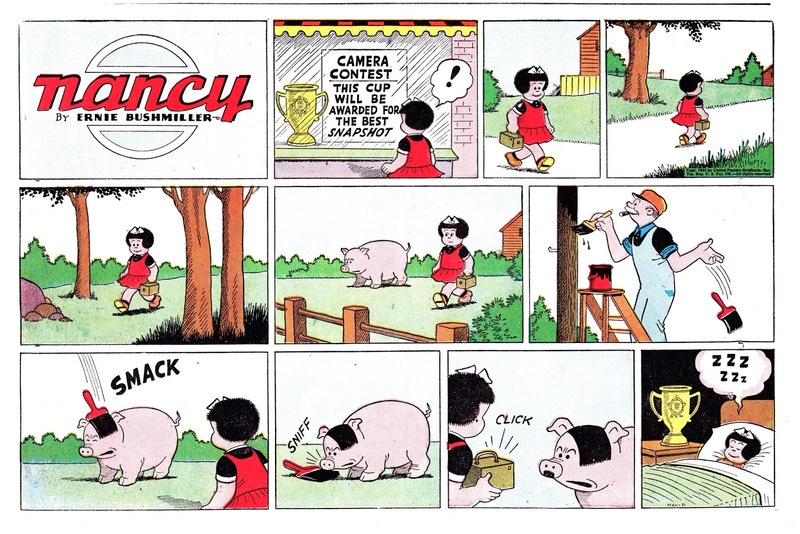 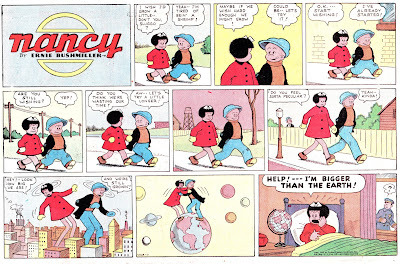 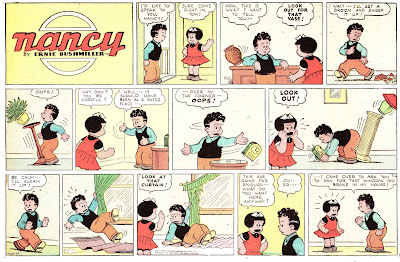 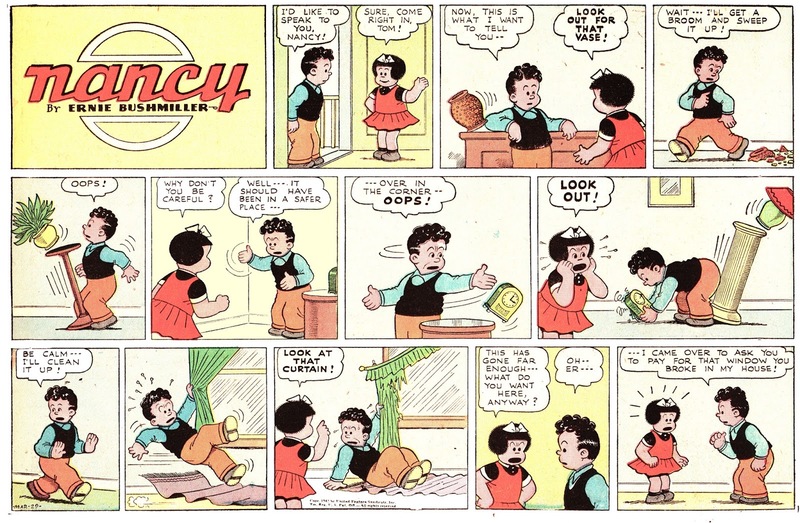 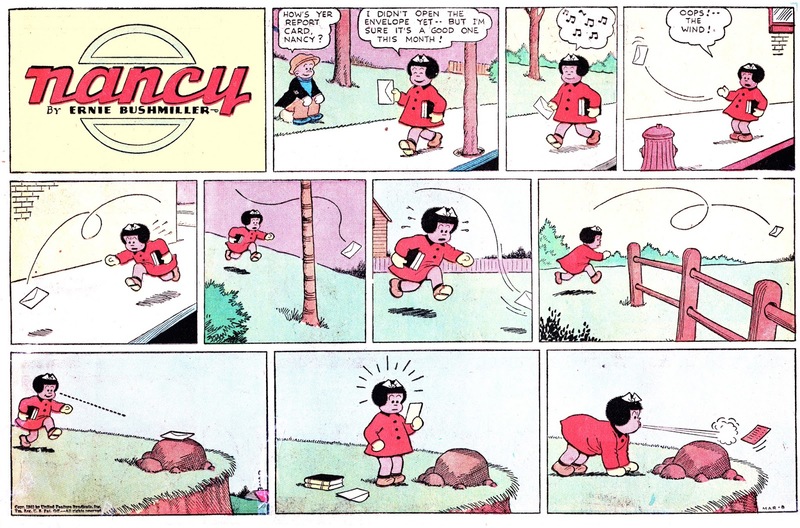 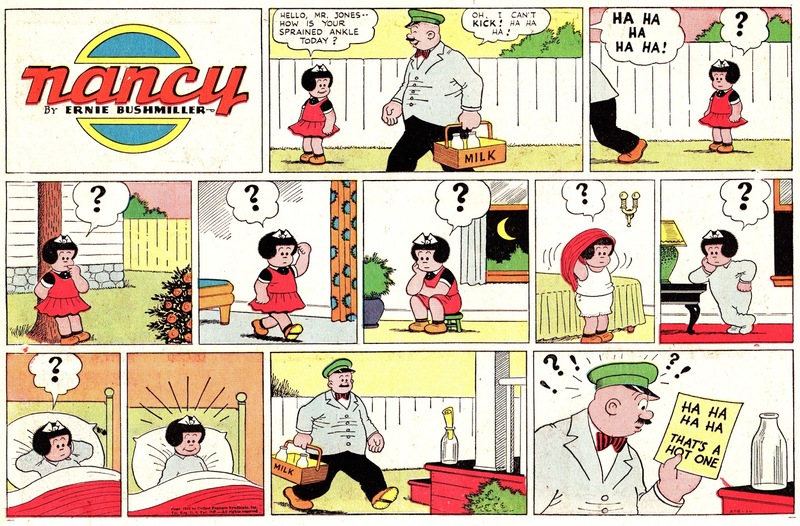 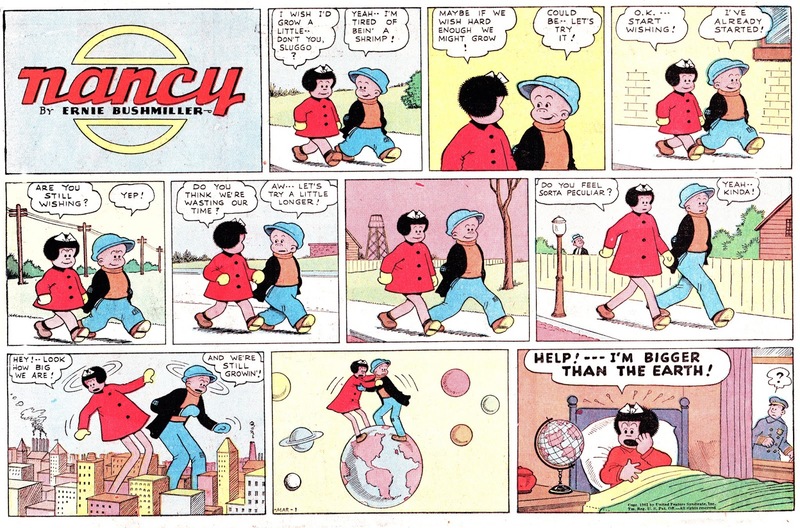 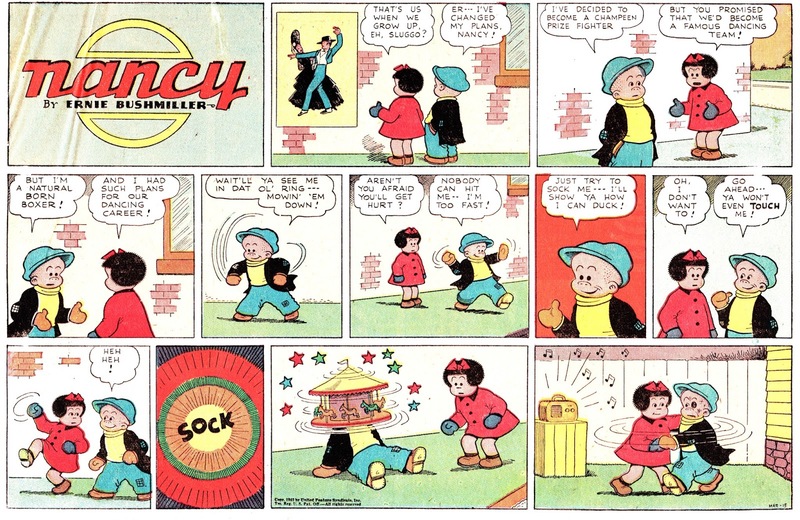 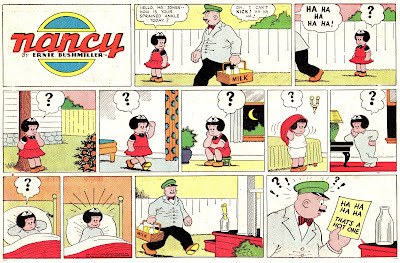 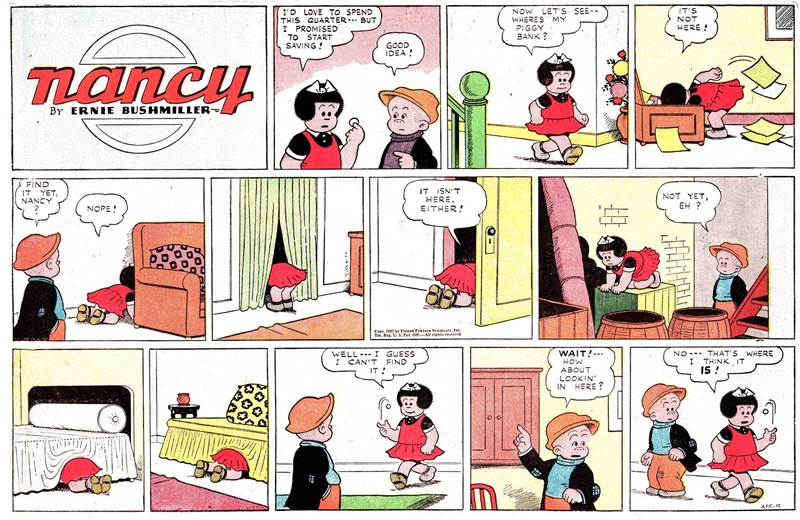 Today we have a nice selection of Nancy Sundays from 1942, back when it was still big and really funny. 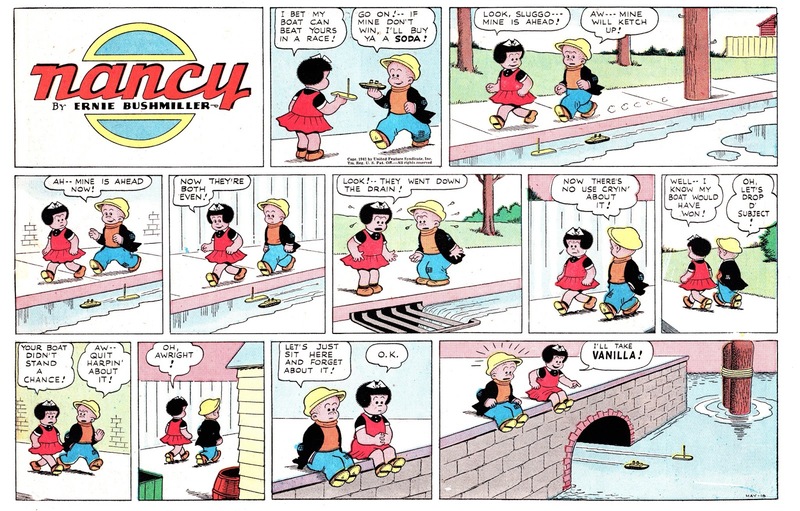 They are all three tiers, which is the way Sunday strips should be. 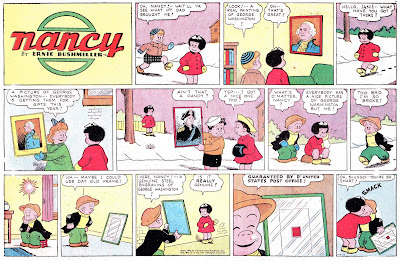 Anyone who likes my blog and writing (and loves the satirical fifties) can go to the right of this post and buy Behaving Madly, my book about the rarest Mad magazine imitations. 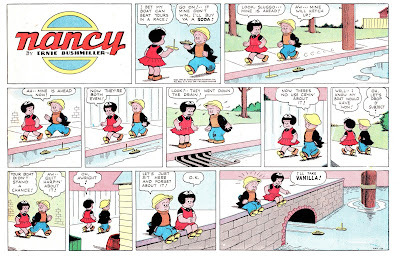 I hear we are about to sell out there and wouldn't that be a great Christmas present!